The last cookie kicked off the second week of prep and this cookie is helping close the third week of prep. It’s also perfect timing because again, JP is home to help me enjoy this one. 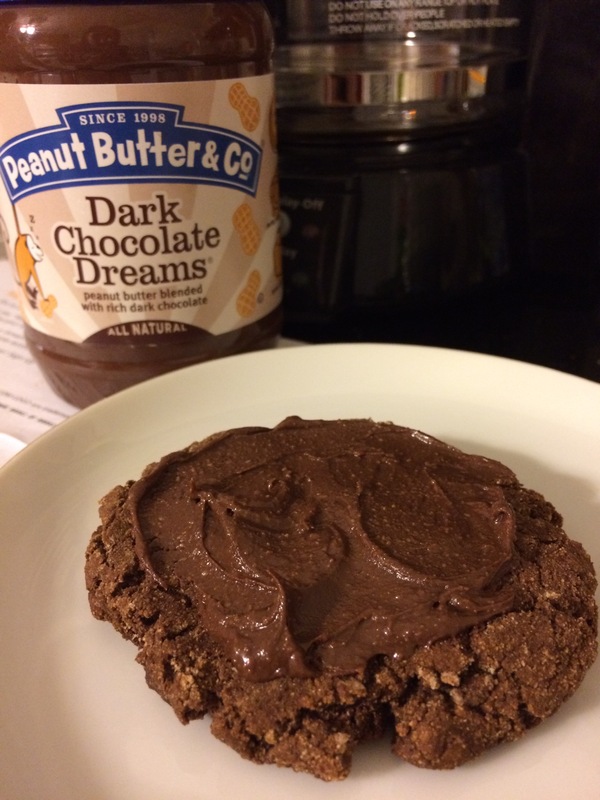 Today’s cookie is a fudge brownie cookie and while the macros are already amazing, some slight adjustments made them even more macros friendly. To keep with the first two batches, I made two HUGE cookies, but different than the first two, these are much more cakey. I can get down with cakey. When I was checking on the batch I called JP over to see if he wanted them soft and cakey or a bit crispy, but cakey in the middle. We decided on soft and cakey all around. So many good decisions right there. 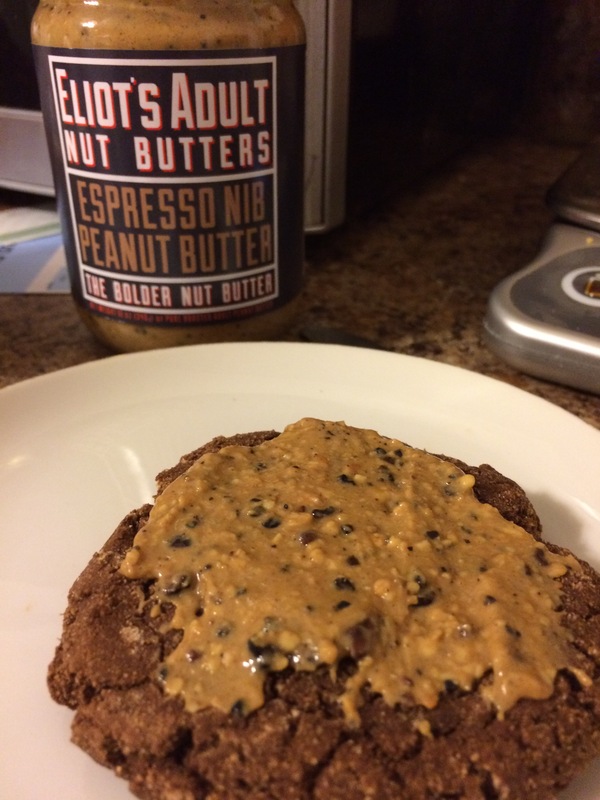 It calls for chocolate protein powder, I used Frosted Chocolate Cupcake – it’s a whey casein blend, this I believe made the batter a little thicker, which made me adjust the wet ingredients. As stated above, I did add a tablespoon and a half of water to the batter so I could combine it well. I followed the weight measurements of the ingredients and not the spoon measurements, this I believe probably made a difference. For example: 45g of the applesauce I had was only 2T not 3T like the recipe calls for, but since I picked a method I stuck with it. This may have also contributed to needing a tiny bit of water. Instead of stevia, I used splenda – I don’t think this impacted the recipe. I also used all purpose flour instead of oat flour because of what I have on hand and I wasn’t going to attempt to grind down oats. 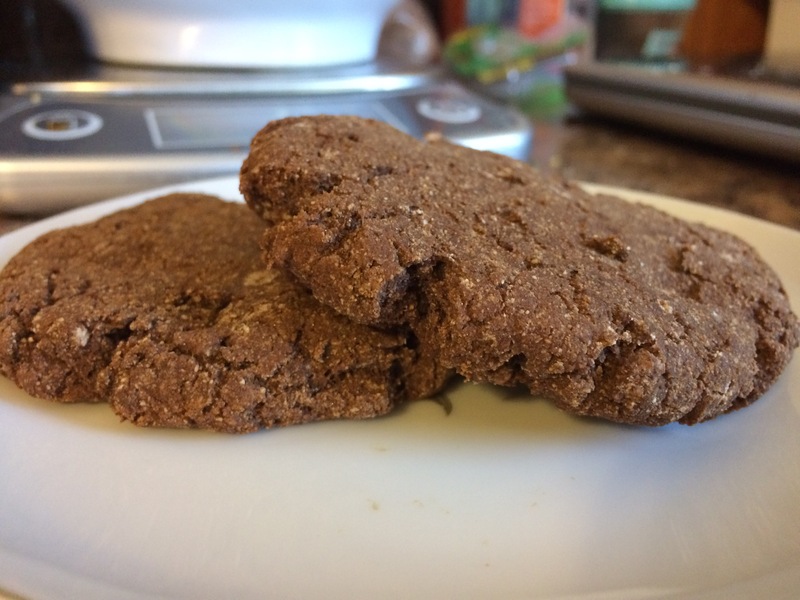 Using regular flavor made this recipe not gluten free, but for me thats ok.
My oil of choice was coconut oil and surprisingly it didn’t provide an overly coconut-y taste to these cookies. Probably because I needed to add a little bit of water, the dough was sticky, so maybe put a little flour on your hands if you notice the same about your dough/batter so that you can easily roll and transfer to a baking sheet. HOLY CHOCOLATE-Y GOODNESS. 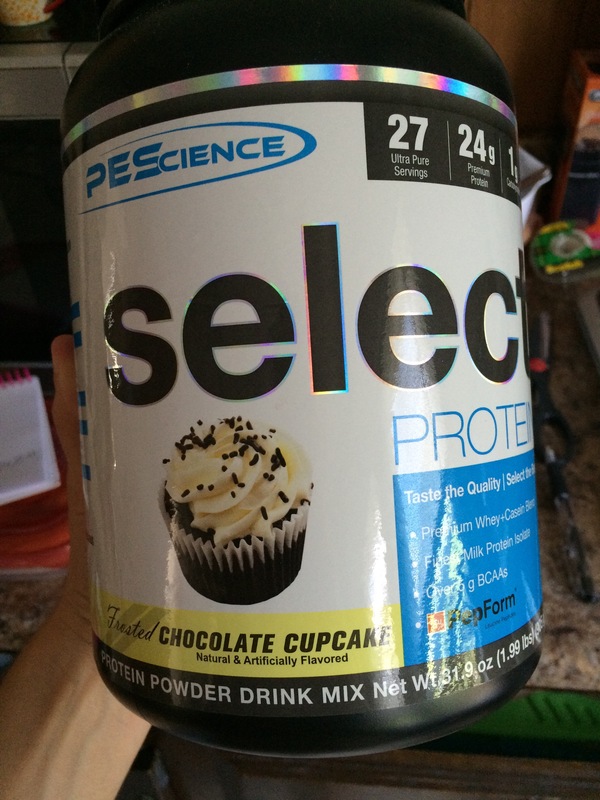 Between the cocoa powder and the chocolate protein powder the smell in the bowl was overwhelming. 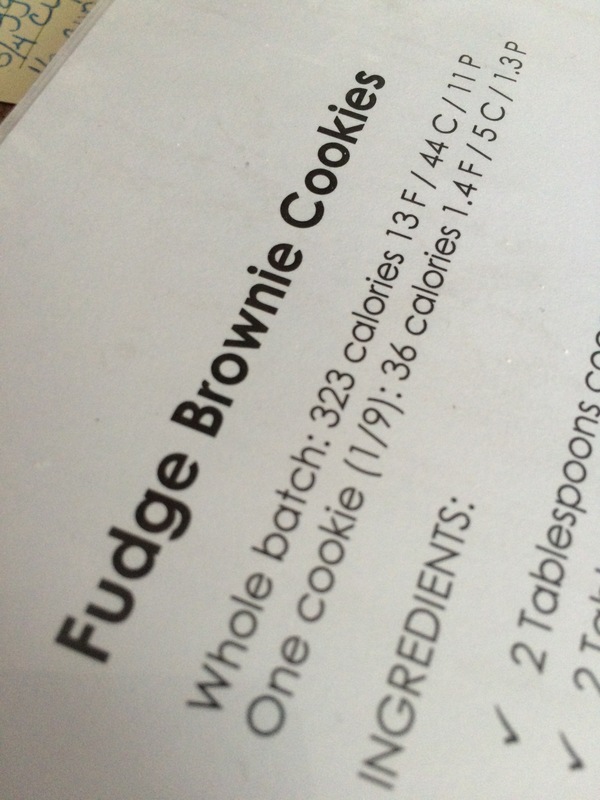 The recipe also calls for chocolate chips, we did leave these out so spare the macros. If you have the wiggle room – keep the chips in because you can’t go wrong with chocolate, but I wonder how this would be with M&M’s of peanut butter chips because we all know I have a ridiculous stash of candy in the freezer to add to desserts. JP thought it was a little chewy, but he followed that up with we should’ve eaten them fresh from the oven. So really are they chewy or does he just like warm cookies? I liked the cakey, chewy-ness of them. 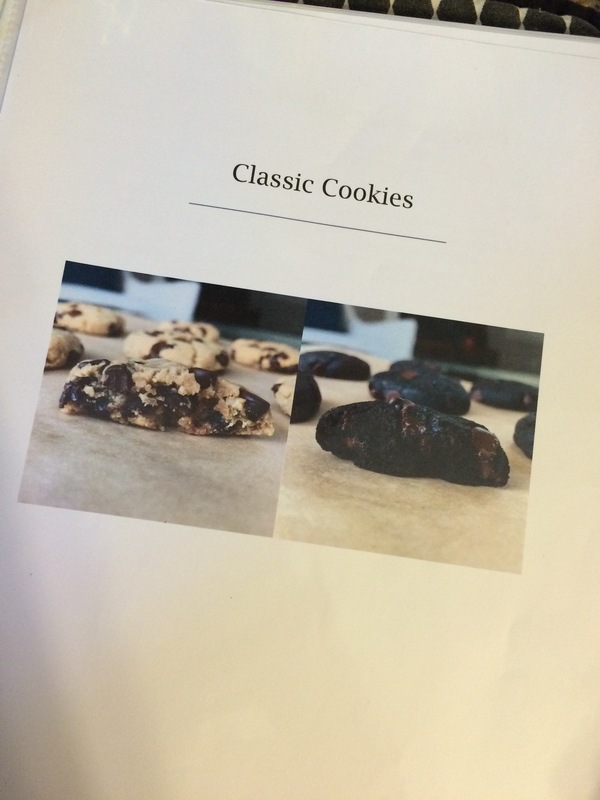 Definitely a would make again cookie. Peanut butter is definitely my top out of the three so far, but the fudge brownie cookie is solid second. 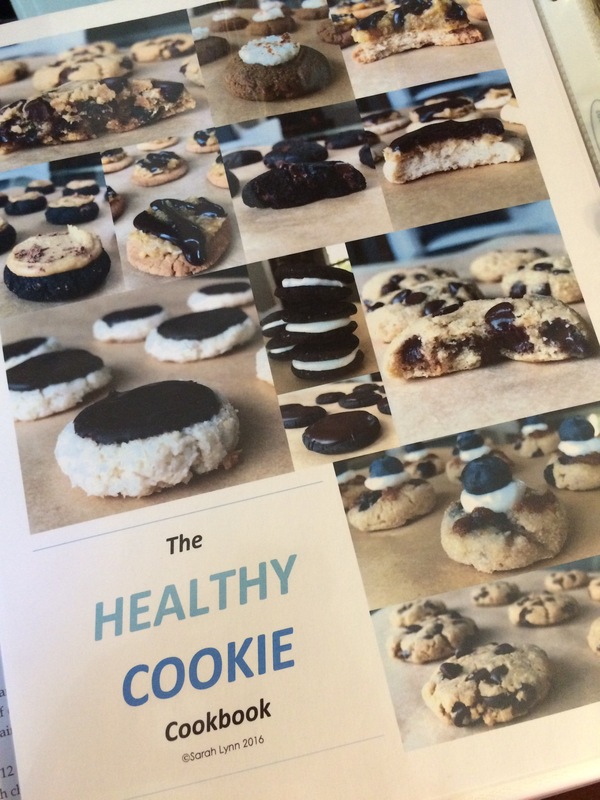 I can’t wait to tackle the next recipe and see what Sarah has in store!